Nowadays, if you want to carry large amounts of people in your car, there are really only three options. The SUV is big and can carry an entire family and a full load of groceries. It's also gigantic and has an eternal thirst for gasoline. Then there's the minivan, but it's smaller size is sometimes a hassle. Plus it's association with soccer moms everywhere is a bit of a downside. Finally, the crossover is an oddball combination of the first two. So what if there was a vehicle that combined the perfect driveability of a normal car with the spaciousness of these vehicles? Believe it or not, it does exist. 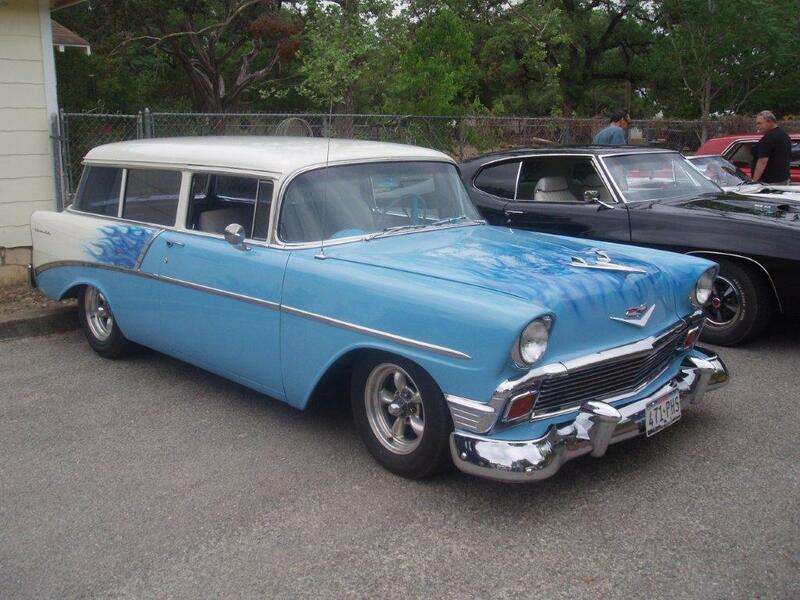 It's known as the station wagon, the shooting brake, the estate wagon, and many other terms. But the formula is simple. Take a popular car, make it big enough to carry people and items in large quantities, but keep it car-like in handling and size. The result is a vehicle fit for any family. Wagons are generally longer than a minivan, but lower to the ground then most SUVs. They also have some other advantages. For one, they're typically better looking. And since they're based on cars, they can be equipped with car performance. The wagon was big in the 60s, but these days they're mostly found in Europe. American carmakers have ditched them in favor of SUVs, minivans, and crossovers. Why? Just look at some of these great wagons. First up is the Chevrolet Nomad. The Nomad was based on the same platform as the Bel-Air, and shared many components, as well as thaving the same bodystyle. The Nomad pictured is a 1956 Model. As you can see, you can customize wagons just like you can with a car. Here we have a 1950s Ford Country Squire. It's got a flashy two tone paint scheme, and room for the whole family. This particular car is equipped with a trailer hitch, adding to it's usefulness. This LTD wagon is a late 60s model, and it's seen many years of use and abuse. This car looks old and beaten, but the 428 cubic inch powerplant under the hood is still kicking. These wagons are durable. This Ford Focus is a 2005 model, so it's relatively new compared to others on this list. This is one of the last station wagons to be sold in America. It's small, sporty, yet big enough to haul people and goods as far as you want to go. So, the wagon is an effective means of transportation. That much is clear. The real question is, why don't car makers bring back the wagon? It's the perfect vehicle for so many scenarios. Only a select few companies still offer wagons. Could we be looking at a future extinction? Only time will tell.